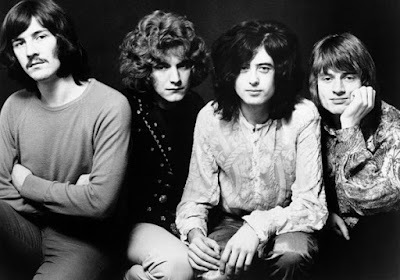 A lawyer representing plaintiff Michael Skidmore has filed an appeal to the verdict in the 2016 "Stairway To Heaven" copyright infringement lawsuit involving Led Zeppelin members Jimmy Page and Robert Plant. According to Rolling Stone, attorney Francis Malofiy filed a 90-page brief this past week to the United States Court of Appeals for the Ninth Circuit while arguing that a series of "erroneous" jury instructions were to blame for the unanimous verdict in the plagiarism case. "The most important of these errors,” writes Malifoy, “was that the trial court refused to let the jury hear the full and complete composition of 'Taurus' embodied in the sound recordings that Jimmy Page possessed, instead limiting the comparison to an outline of the 'Taurus' composition in the deposit copy lead sheet." Other complaints pertaining to the initial trial include "Limiting Plaintiff's Trial Time to 10 Hours Violated Due Process and was Not Even Close to An Adequate Amount of Time to Try this Case" as well as "The Court Seriously Erred when Defining Originality." In their filings to the 9th circuit court, Skidmore and company seek a reversal of the previous verdict and a retrial. The two-week trial last year saw Page, Plant and non-defendant John Paul Jones take the stand to deny exposure to “Taurus” while explaining the creation of “Stairway” at Headley Grange.